This book examines discourses of knowledge and innovation in post-industrial societies and knowledge-based organizations. The author investigates the value of knowledge and the question of innovation management in a fully commercial environment for a technology company. In contrast with most of the mainstream approaches to knowledge and innovation management this volume chooses as its starting point a critical examination of these assumptions before proceeding with further suggestions on how to manage knowledge. Using brand new empirical research, the author argues for the significance of addressing the political games and power struggles enacted in managing innovation processes, which result from the opportunity certain groups seek to acquire or extend their control over valuable resources. 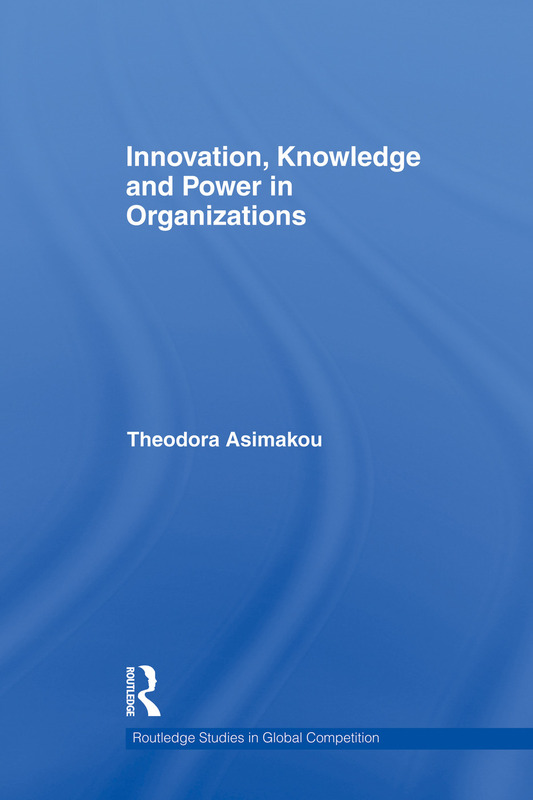 Again, in contrast to mainstream approaches that reduce power to the ability of individuals to negotiate in order to promote their ideas, the analysis adopts an extended view on power, and seeks to reveal the ambiguities and challenges of innovation management. This work will be of most interest to researchers and students of knowledge and innovation management, namely postgraduates and second degree students, as well as managers in knowledge-based organisations.